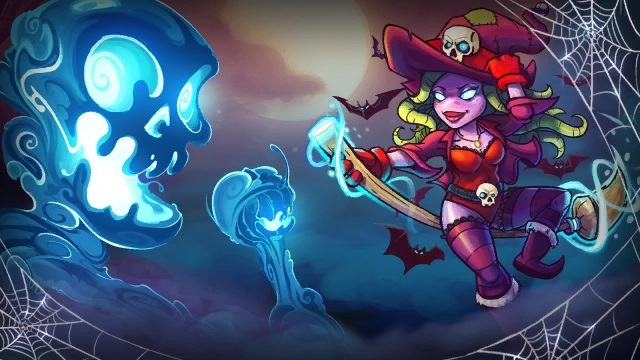 Halloween has come to Awesomenauts! To celebrate Halloween we wanted to do something special this year. That’s why we’ve created two very cool pieces of DLC on top of the regular level decorations, starting with Wicked Coco! Wicked Coco is a skin that we’ve gotten lots of requests for ever since she narrowly lost a vote to the also awesome Coco McFly. We felt this would be the perfect time to actually get her into the game! Hope you’ll have as much fun with these as we had making them!